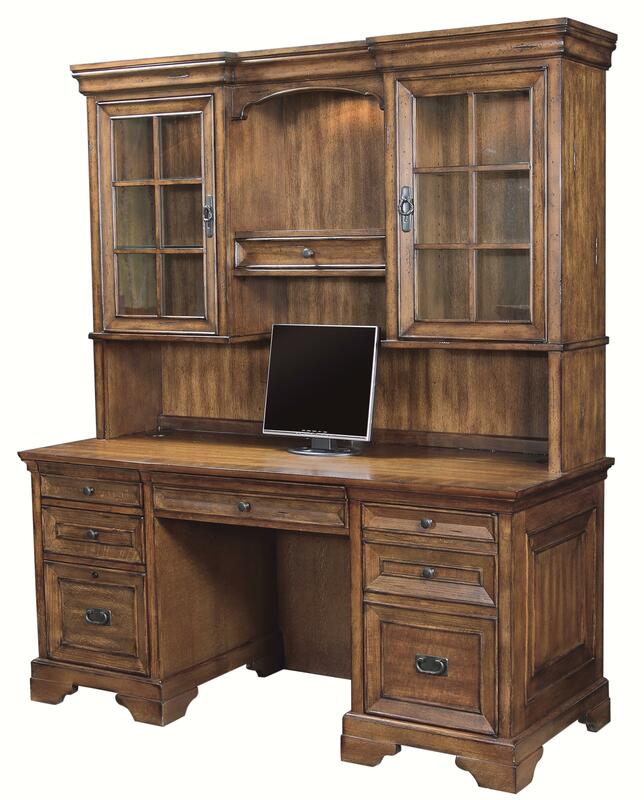 Create a productive workspace in your home office with this 66-inch kneehole credenza and display hutch set, crafted from hardwood solids with oak veneers in a Chestnut Brown finish. 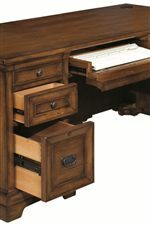 The credenza has four total drawers, with felt lining in the top drawers, a center convertible pencil/keyboard drawer, a standard drawer with StoreCharge power outlets to charge phones and other devices, and a lower locking file drawer that holds legal or letter sized files. The other pedestal of this desk has a CPU computer cabinet that can be configured for a printer, scanner, or computer tower, with built-in USB power hub, and built-in power director. 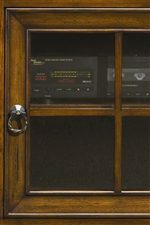 The hutch above has two glass doors with two adjustable shelves and a fixed shelf inside each. A center small drawer and shelf offer additional storage space, and are lighted with 3-way touch lighting. The Centennial Kneehole Credenza and 3-Way Light Display Hutch Combination by Aspenhome at Stoney Creek Furniture in the Toronto, Hamilton, Vaughan, Stoney Creek, Ontario area. Product availability may vary. Contact us for the most current availability on this product. 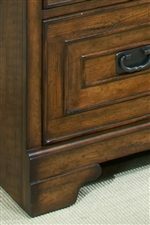 I49-317-3 66-Inch Credenza Hutch 1 67.125" 13.875" 47.75"
I49-316-2 66" Credenza 1 66.625" 25.25" 31"